Balian Beach or Lalang Linggah in Bali, Indonesia is easily my favourite spot on the whole island. 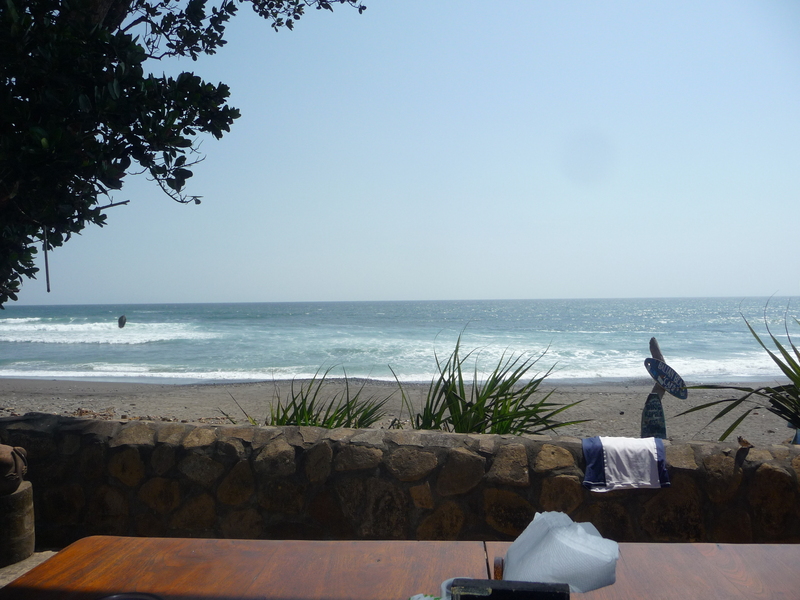 About an hour and a half drive from Kuta you find this quaint little surf village. The people are friendly, full of smiles, not heckling you to buy their many similar knock-off souvenirs, and always willing to lend a hand. The town is small, inclusive, and after a few days you begin to recognize the many familiar faces that spend their entire stay in Bali in this small surf village. Lastly, the surf. Balian Beach offers a fairly consistent beach break that’s incredible smooth when the tide’s in. There are perfect beginner left handers as well as more intermediate right hands, and it’s all pitched in front of a long beautiful and often deserted beach. Wake up early to catch the sunrise surf (although sometimes the high tide isn’t in until about 8:30am), then dry off as you enjoy a small breakfast at a few local joints along the strip that overlook the ocean and the wave sets. Read a book, relax, and watch people catch or get crushed by waves as you pass the daytime hours slowly rebuilding your energy before your sunset paddle. 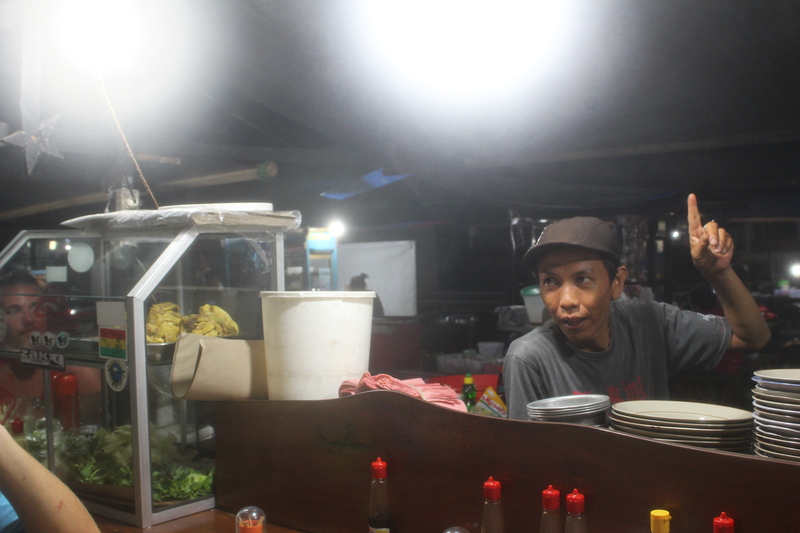 Once the dark red glow begins to fade and your shoulders have that familiar burn it’s time to paddle in, enjoy a Bintang, and put some dry shorts on for perhaps the best part of Balian Beach – the night market. 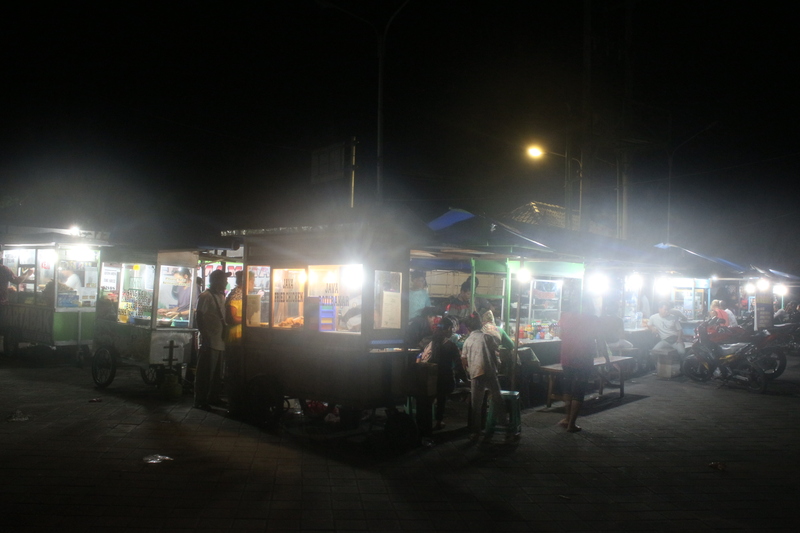 We travelled to Balian for a couple nights during the first week of our Indonesian trip, but were completely unaware of the ‘amazingness’ that is the night market. We decided we’d liked it so much we’d travel back for another five or six days and end our trip in the place we liked most, but this time when asking around for a good dinner spot, we were quickly told about the night market. If you walk to the top of the hill from Balian you’ll notice a small square plaza on the left hand side. During the day there are numerous shops selling a variety of goods, but at night this venue is the host of the night market. 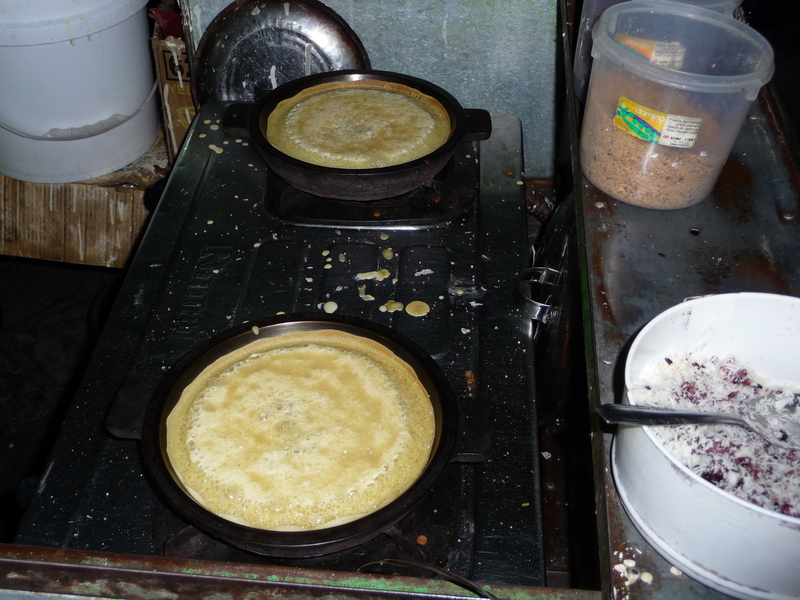 The market is essentially a series of vendors making fresh dishes extremely cheap. To start, check out the deep fry cart where for 500rp/each ($0.05) you can get an assortment of deep friend veggies, sweet potato, and bananas. After a nice appetizer you can venture to a few of the main vendors. Choose between delicious fried chicken; spiced and sizzled in hot oil right before your eyes. Or if you’re feeling a little homesick try the Balian version of spaghetti and meatballs! If you’re feeling really hungry dabble in the ‘Super Pancake’; a crepe-like pancake filled with cheese, chicken, spinach, and cheese, all deep-friend in a delicious pancake. 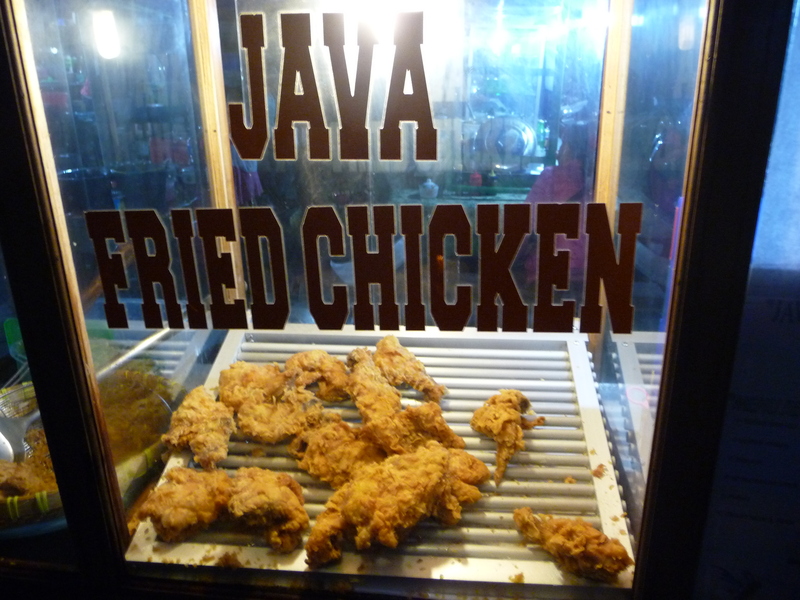 You can dabble in more traditional Indonesian cuisine such as mie goreng (fried noodles), nasi goreng (friend rice/veggies), mie kuah (chicken, egg, noodle soup), gado-gado (vegetables in peanut sauce), and nasi campur (just a whole whack of stuff with rice) all traditionally prepared and incredibly cheap. Once you think your belly is full it’s time for dessert. While you could pop into the convenience store and buy a cold ice cream I personally would either go for the chocolate & peanut butter stuffed pancake, or the deep friend banana slices covered in cheese and chocolate sauce. (I meant to take pictures of all the delicious items but I immediately became blank minded and simply ate them as soon as they were in front of me). This massive three-course dining experience that’ll put you in bed early can be had for around $3-4USD. You’ll see almost everyone you saw out in the water, share a few laughs, spend hardly anything, and go to bed with a full belly – what’s not to love? Balian Beach was certainly the highlight of our trip. From mellow waves, a small-town surf culture, a relaxing atmosphere, to delicious food, and friendly company, Balian Beach should be a stop on anyone’s itinerary travelling throughout Bali. Chocolate and peanut butter stuffed pancakes!! Mmmmm. Can almost taste them. Thanks, Ty.